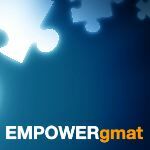 I took GMAT a few days ago and got a score of 690 (Q50, V34, IR8). I am planning to take the exam again in a month. Hi there, there's no ESR attached to your post. Please note that you must at least make five posts, in order to be able to attach files. This practice is put in place to avoid spams in the forum. Looking toward to seeing you ESR. Thank you. Sorry for that. Posting the ESR results in Text format. Your Verbal score of 34 is higher than 71% of GMAT Exam scores recorded in the past three years. The mean score for this section is 27.04. Your performance on Critical Reasoning questions was equivalent to a score of 38, which is better than 78% of GMAT Exam scores recorded in the past three years. The mean score for this sub-section is 27.59. Your performance of 66% on Analysis/Critique questions is considered Above Average. Your performance of 80% on Construction/Plan questions is considered Above Average. Your performance on Reading Comprehension questions was equivalent to a score of 31, which is better than 60% of GMAT Exam scores recorded in the past three years. The mean score for this sub-section is 27.29. Your performance of 83% on Identify Inferred Idea questions is considered Strong. Your performance of 50% on Identify Stated Idea questions is considered Weak. Your performance on Sentence Correction questions was equivalent to a score of 33, which is better than 66% of GMAT Exam scores recorded in the past three years. The mean score for this sub-section is 27.19. Your performance of 50% on Grammar questions is considered Weak. Your performance of 83% on Communication questions is considered Strong. You completed 36 questions in the Verbal section. You responded correctly to 75% of the first set of questions, 86% of the second set of questions, 57% of the third set of questions and 63% of the final set of questions. The average difficulty of questions presented to you in the first set of questions was Medium, the average for the second set of questions was Medium , the average for the third set of questions was Medium and was Medium for the final set of questions. The average time it took you to respond to the first set of questions presented was 1:50, the average time for the second set of questions was 2:15, the average time for the third set of questions was 1:17 and 1:45 for the final set of questions. Please Note: If you sat for the GMAT exam prior to April 16, 2018 this section contained 41 questions, on or after April 16, 2018 the section consists of 36 questions. The three year mean GMAT Verbal score is 27. This score is better than 46% of GMAT Exam scores recorded in the past three years. Note: GMAT scores are valid for five years. Even though your score won’t change, your percentile ranking may change when compared with a newer pool of applicants. Shifts tend to be gradual over long periods of time. In the first set of questions you answered 75% correctly and 25% incorrectly. In the second set of questions you answered 86% correctly and 14% incorrectly. In the third set of questions you answered 57% correctly and 43% either incorrectly or did not answer. In the final set of questions you answered 62% correctly and 38% either incorrectly or did not answer. For all GMAT Exam scores recorded in the past three years the mean time to complete a question in the Verbal section is 1:43 minutes. Average Difficulty of questions answered correctly/incorrectly broken down into four sections. In the first set of questions the average level of difficulty for questions presented to you was Medium. In the second set of questions the average level of difficulty for questions presented to you was Medium. In the third set of questions the average level of difficulty for questions presented to you was Medium. In the final set of questions the average level of difficulty for questions presented to you was Medium. In the first set of questions you spent an average of 1:54 minutes on each correct answer and 1:39 minutes on each incorrect answer. In the second set of questions you spent an average of 2:21 minutes on each correct answer and 1:41 minutes on each incorrect answer. In the third set of questions you spent an average of 1:04 minutes on each correct answer and 1:33 minutes on each incorrect answer. In the final set of questions you spent an average of 2:03 minutes on each correct answer and 1:14 minutes on each incorrect answer. Hello JSam11 ....welcome to the community. 1. Section 2 ... the response time went up ....leading to time pressure and more errors in section 3. It seems there were consecutive errors in section 3. Otherwise, the response times are looking pretty balanced. Just practice to not go above 1:48 mins on average.... if you are exceeding 2:00 for any Q ... skip it . i. SC...... max time 1 min per Q.
iii. Then invest rest of the time in RC. Hope this helps!! All the best !! 5) When is your next Test Date? I have taken exam 1 and exam 2 before and might have impacted my score. Also, I have purchased the ESR, but wasnt able to attach it. So, i posted the ESR results for Verbal in text format in the above post. Now I can attach my ESR. So, here it is. I’m glad you reached out, and I’m happy to help. First off, 690 is a solid start, so nice job! Now, looking at your ESR, since you have a score goal of 760, there is really nothing that jumps off the page. Sure your CR percentile is higher than your RC and SC percentiles; however, to increase your verbal score to 42+ (which is what you likely need to hit 760), you really need to work on all aspects of GMAT verbal. That said, I think the real question is this: Why was your verbal score significantly lower on the real GMAT than it was on your most recent practice tests? While it’s possible that nerves affected your performance on the test, it's more likely that some of your verbal weaknesses were exposed when you took the GMAT. Scoring high on GMAT verbal tends to involve using logic and noticing key details. However, it is possible to get some verbal questions right by looking for patterns that you have already encountered in your preparation. Looking for patterns will not always work though, and if the patterns with which you are familiar don’t show up in the questions that you see on the actual GMAT, your verbal score will not be very high. So, one possible reason for the difference between your verbal scores on practice tests and your verbal score on the real GMAT is that, in your preparation, you did not really learn to do what you have to do in order to score high on verbal. Rather, you picked up on some patterns that were effective in getting you relatively high scores on practice tests. To hit your verbal score goal, you probably have to adjust the way that you have been preparing. You have to focus your preparation on developing skills, such as use of logic, that you can use to correctly answer GMAT verbal questions regardless of what verbal tricks the test presents to you. In order to develop those skills, you may need to slow way down in your verbal preparation, and analyze questions and answer choices until you clearly see the logic of questions. In other words, your preparation has to be deeper and has to result in your much more clearly seeing what is going on in verbal questions. If you need more specific advice, feel free to reach back out, and I can provide some further advice. First, congratulations for scoring a 690 with Q50. To hit a 760, you need to get a V42+ score and maintain the Q50. Use this 1 month diligently to improve your Verbal skills. 1. Take Verbal Ability Quiz in Scholaranium. If you have taken mock tests/solved practice questions you can analyse them as well. Learn how to analyse GMAT mock tests to course correct effectively. Focused course correction will help you make effective use of the available time. You can do so using the existing resources or using the resources shared below to help you with Verbal Prep. You can get access to a lot more of these videos and practice questions once you sign up for the Free Trial. You can also attend the free SC session this weekend to learn how to leverage the Meaning and Logic to solve most challenging SC questions. Click here to register for the session - How to approach Sentence Correction. The time that you have spent on SC questions can be reduced. The time for each sub-section will come down as you improve your ability. However, please note not to rush through a question and thereby hampering your accuracy. Spending less than the time that you need for solving questions can result in low score. For e.g., in the 3rd block, even though the difficulty level remained the same as previous due to lack of time your accuracy got a hit. It is also important to skip questions strategically if required so that you can do justice to the remaining questions. This article will help you understand how to score the maximum using your current abilities – GMAT Timing Strategy. If you want to discuss the preparation strategy further, we can connect over a call. 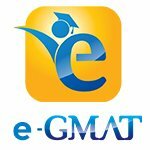 Feel free to PM me, referencing this post or reach out to us at support@e-gmat.com.